Here you have a bridal statement bracelet, whose center focal is a Swarovski checkerboard crystal round bead. 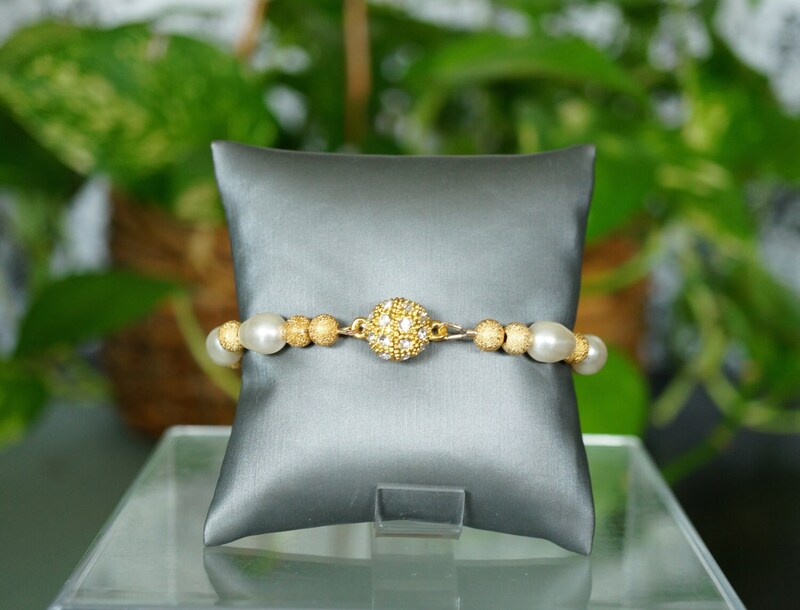 It's surrounded by Swarovski cream color drop pearls and gold plated stardust beads. 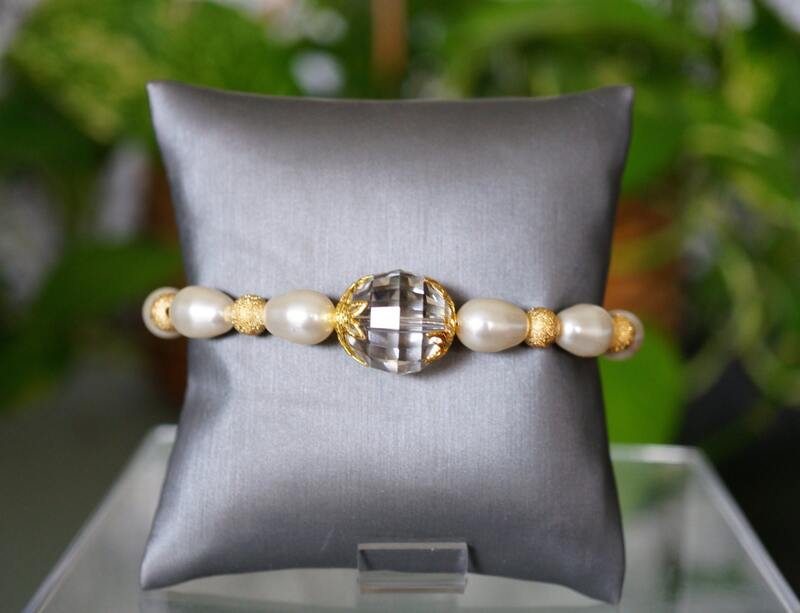 It all comes together with a gold tone rhinestone magnetic clasp. It measures 7.5 inches. Fits nicely on a 7 inch wrist. This can be shortened or lengthened, for an extra $7. 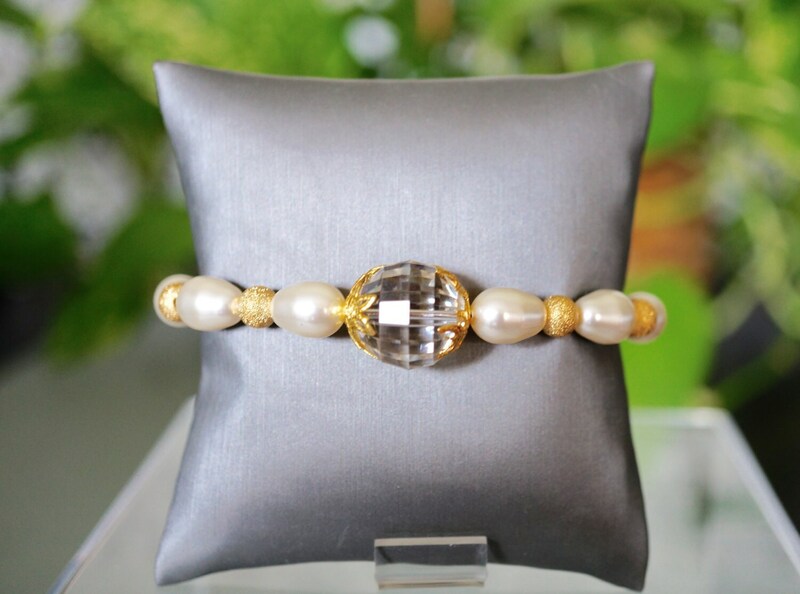 Please know that this bracelet is a one of a kind piece. I do not repeat the exact same designs. You will be the only one to own it! Nobody else. That is what makes my jewelry so exclusive.